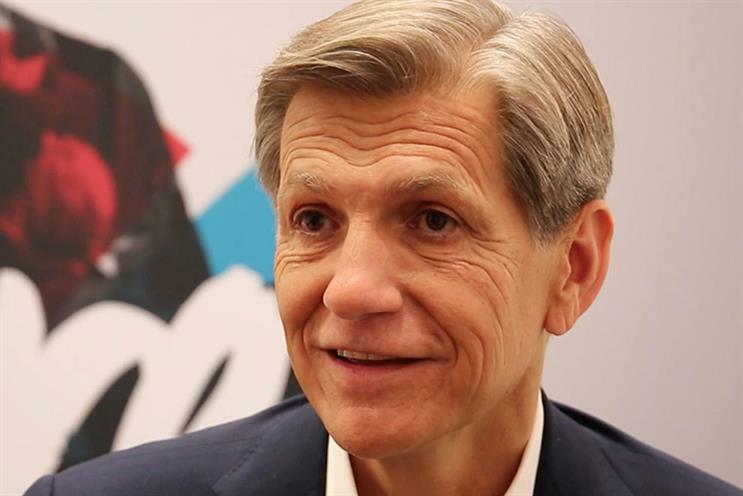 Predictions of the demise of TV advertising appear to be premature as Procter & Gamble's marketing chief, Marc Pritchard described the medium as being in a "nice, tight horse race" with digital. The comments by P&G’s chief brand officer, who has led the charge on digital transparency this year, coincide with growing optimism in broadcasting circles that FMCG companies might be rethinking their pull-back from TV. Speaking to Campaign, Pritchard would not say whether P&G, the world’s biggest advertiser, has continued to cut investment in digital advertising at the same rate as it did between March and June. Over that period, it stunned marketers by slashing more than $100m (£74.5m) from its global digital adspend because of brand safety and bot fraud. "I don’t want to give you an actual spend," Pritchard said, referring to the quarter to the end of September. He added: "What I can tell you is we’re much more discerning." He ruled out a permanent reduction in online adspend, describing it as a "short time-out", although he said that he expects the amount to "really vary as we go forward". Activist investor Nelson Peltz has accused P&G, which owns the Always, Gillette and Pampers brands, of cutting its $7.12bn annual ad budget to boost flagging profits. However, Pritchard insisted the cut in digital "doesn’t mean we won’t spend it some place else". He pointed out: "TV has had a good run in the last year because it’s demonstrated that it gets broad reach and high engagement, the quality of the content has become significantly better and it’s very efficient and effective." P&G is now advertising on fewer online sites, focusing instead on 200 "trusted publishers that are absolutely clean and give us all the data that we need", according to Pritchard. The consumer-goods behemoth spends close to one-third of its global ad budget on digital, but the medium accounts for as much as 50% of adspend in some markets and 100% for certain brands. Pritchard said future investment in digital advertising would "depend on what’s worth spending and where it’s worth spending", which is why P&G is demanding more "data" from media owners. He compared TV favourably with digital, describing metrics such as "likes" and followers on social media as "overvalued", while mass reach remained crucial for brand-building. "In TV, we like prime time," he said. "Why do we like prime time? Because people like to watch it. A lot of people watch it; they’re highly engaged. We want that same quality in the digital world." He added: "How many times have you been on a site where the ads load and you have to wait forever before you can actually get to it? Then sometimes the content’s not very good." "So, on our part, we’re really trying to push to do better ads and then work with publishers to get better content, so they can do their part." As part of that effort, P&G is making two-second ads for online, as well as longer, traditional spots. Ian Whittaker, an analyst at Liberum Capital, also believes there is a more positive outlook for TV, having upgraded his forecast for ITV’s ad growth. "Our conversations, not just in the UK but also in the US, suggest FMCG ad spending is starting to come back," he said. Peltz, meanwhile, has told P&G shareholders that reducing digital adspend was a mistake. "You don’t reduce market spend when you’re losing market share," he said. In January, Pritchard made a landmark speech, in which he described the digital media supply chain as "murky at best, fraudulent at worst". He set a 12-month deadline for agencies and media owners to raise standards and told tech conference DMEXCO, held in September, that he believed the industry was 60% of the way to implementing digital transparency. Sheryl Sandberg, chief operating officer of Facebook, who was also at DMEXCO, admitted that the social-media platform needs to show it can deliver "measurable, viewable business outcomes" for all advertisers, including FMCG companies. "They are still advertising with us and it’s up to us to prove that we can grow their spend," she said.